Suame Magazine is an artisanal engineering cluster on an area of over 50 km² in the city of Kumasi, Ghana. It emerged in the 1930s and constantly increased in size in the following years – being one of the largest industrial areas in Africa by now. 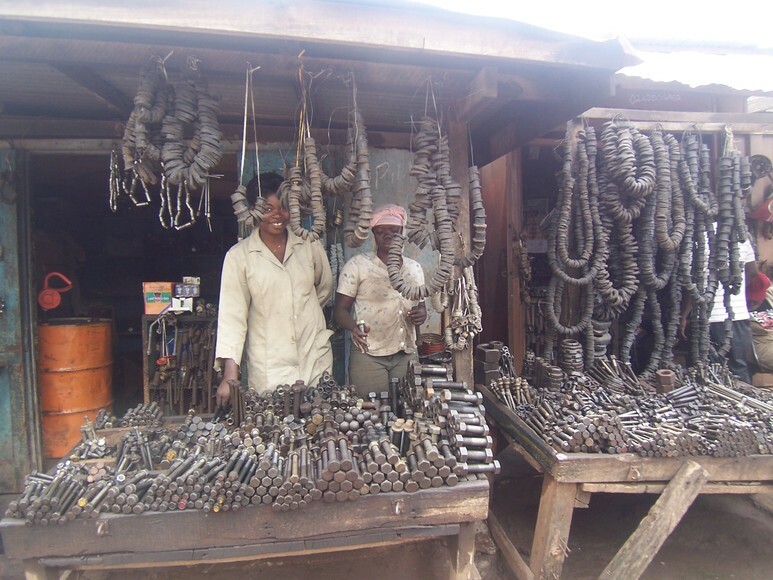 Over 200 000 people live there and approximately 12 000 businesses are located at Suame magazine mostly gathered around the automotive sector – doing car repairs and sale of spare parts amongst other things. Most of the businesses are very small and specialised – part of the private informal sector. SMIDO is the Suame Magazine Industrial Development Organization which was founded in 2006 as a development institution for Suame Magazine. It is an umbrella organization for the associations in Suame Magazine and serves as an interface for the public and private sector. After focusing primarily on advocacy in the beginning, it now also offers ICT trainings for the craftsmen in the area and tries to foster business development. Business benefits: As the shops mostly employ few workers and have a manageable stock of customers, keeping books on the computer, printing and communication via internet can help them save time, money and create networks with other colleagues – exchanging knowledge and even creating supply chains. SMIDO provides these trainings and for completing a training, the workers get certificates which are highly valuable when dealing with company customers. Continuing education: As new cars are almost exclusively managed by microchips and generally cars have become more and more high-tech, the mechanics need training in dealing with these new kinds of car-repair-techniques. SMIDO is therefore searching for large companies in the automotive sector or companies with large stocks of cars to partner with – working together on providing specialised trainings. This would create a win-win situation by providing the companies with capable mechanics for their cars and the workers with increased income and possibilities for continuing education. 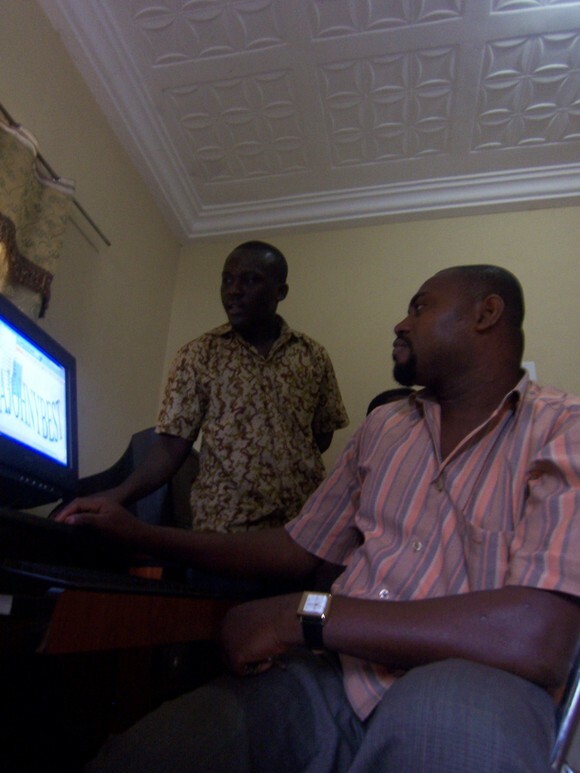 When SMIDO started providing trainings, there were only 2% of the workers at Suame Magazine using ICTs, now SMIDO has already trained 100 people and they are looking for possibilities to scale up. With a business plan at hand and a large number of skilled personnel this is an organization which I would love to invest in – if I would be an investor, or an automotive company. On the other hand, such a commitment would benefit the population at Suame Magazine, increasing the safety level at work (also an objective of SMIDO) and providing better income possibilities. So, maybe there’s somebody interested out there. There’s large potential so I’m curious what will happen. Just a quick point to an exciting project which is currently taking place here around Kumasi and at KNUST – International Development Design Summit. It’s an initiative by MIT (MIT press on IDDS) to drive capacity building in developing countries, but also to provide students with real-life experience and a forum to discuss issues. 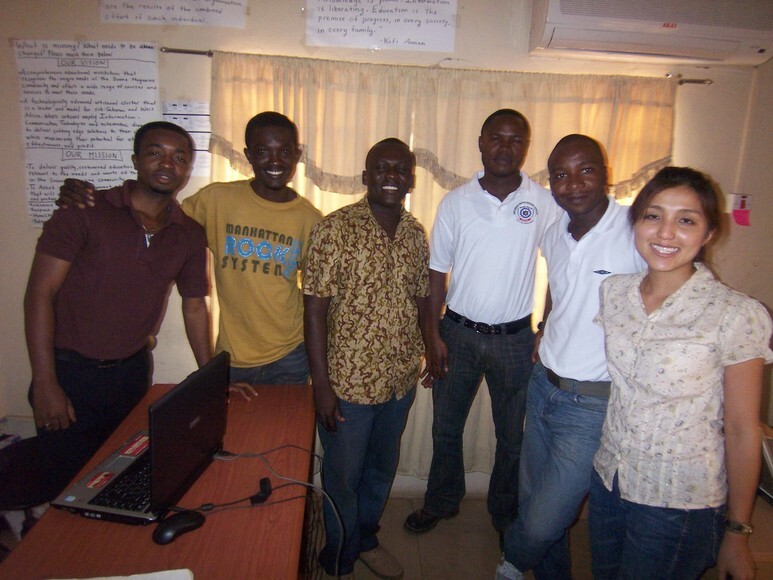 The students work together with other students and practitioners here in the wider area of Kumasi and try to find applicable solutions for every day problems of the people in rural areas of Ghana. One project is for example built around the problem of making water drinkable with chlorides – and how to produce these chlorides with the help of available tools – such as a bike, in that case. Another projects deals with easy methods of rice-destoning – which would rural farmers enable to compete better with big companies. The project is really good covered in various blog – IDDS official blog in as good source, also pointing to other blogs. The results of the projects will be presented at Maker Faire Africa (IDDS at Maker Faire Africa), really looking forward to seeing that.